In 1901, Buffalo, New York, the eighth biggest city in America, wanted to launch the new century with the Pan American Exposition. It would showcase the Western hemisphere and bring millions of people to western New York. With Niagara Falls as a drawing card and with stunning colors and electric lights, promoters believed it would be bigger, better, and?literally?more brilliant than Chicago's White City of 1893. Weaving together narratives of both notorious and forgotten figures, Margaret Creighton unveils the fair's big tragedy and its lesser-known scandals. 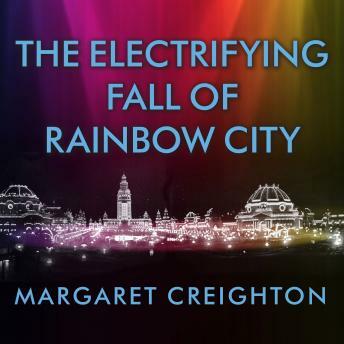 From a deranged laborer who stalked and shot President William McKinley to a sixty-year-old woman who rode a barrel over Niagara Falls, to two astonishing acts?a little person and an elephant?who turned the tables on their duplicitous manager, Creighton reveals the myriad power struggles that would personify modern America. The Buffalo fair announced the new century, but in ways nobody expected.